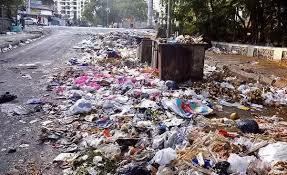 PUNE: Pune Municipal Corporation has decided to set up a cell in each ward office where citizens can lodge complaints against littering. A decision regarding this was taken at a meeting last week. "We have been getting complaints regarding garbage dumping. The citizens have also complained that the centralised system is not up to the mark. So we have decided to decentralise the system. It will help in removal of garbage quickly. Citizens can also go directly to the ward office and give information at the special desk," said Mukta Tilak, mayor of Pune, while speaking to reporters after the meeting. She said that civic officials have also been instructed to deal with posters and banners put up illegally. PMC is finalising hoarding policy after which criminal offences will be filed. Citizens can also call 1969 to register grievances.